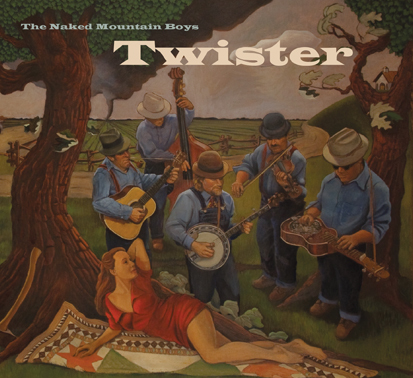 The Naked Mountain Boys are made up of a group of friends who have been playing bluegrass music in the Shenandoah Valley area of Virginia since the year 2000. Collectively they share a love for traditional bluegrass but they don’t mind going original now and then and that is what Twister is all about. Twister is comprised of thirteen tracks, eleven of which are original to the band. The other two tunes are traditional instrumentals. Musicians included in the project are Charlie Perryman-mandolin, fiddle, and vocals, Terry Patten-dobro and vocals, Robert Mabe-banjo, Steve Hudson-guitar and vocals and John Burns on bass. Be the first to review “Twister” Click here to cancel reply.